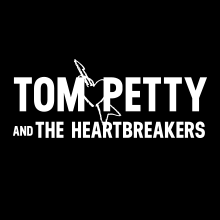 If night two at Red Rocks Amphitheater in Morrison, Colorado proved anything, it's that Tom Petty & the Heartbreakers haven't lost a step over their illustrious career. Nearly 30 years to the day since their 1980 Red Rocks debut, Tom and the band brought the rock to Red Rocks, digging deep into their catalog right off the bat with "Listen to Her Heart" off You're Gonna Get It!. "Free Fallin'" provided a nice opportunity for an audience sing-a-long before giving way to a killer cover of Fleetwood Mac's "Oh Well." Once again, the Red Rocks faithful were treated to several songs off Mojo, the band's first album in almost eight years due out June 15. Tom and the boys debuted "Takin' My Time," while delivering stellar takes of "First Flash Of Freedom," "Running Man's Bible" and "I Should Have Known It," and "Good Enough." "Runnin' Down a Dream" and "You Wreck Me" got the encore off to a sizzling start, but the "American Girl" finale was the perfect send-off to another sold-out night at one of the most beautiful and acoustically amazing venues in the world. Prior to the Heartbreakers, Joe Cocker once again delivered a winning set that included a fantastic "You Can Keep Your Hat On" and culminated with an epic version of "With a Little Help from My Friends" that had the masses on their feet. Be sure to check back at TomPetty.com for updates on the tour including photo galleries, show recaps and more from every show!